The Seventh Central Pay Commission has had wide ranging interactions with a variety of Stakeholders. It has had a series of meetings with National Council and the Constituents of the JCM from March 2015 onwards. The Commission has also sought the views of Individual Ministries / Departments on the issues posed, in relation to matters that are relevant to the Ministries. 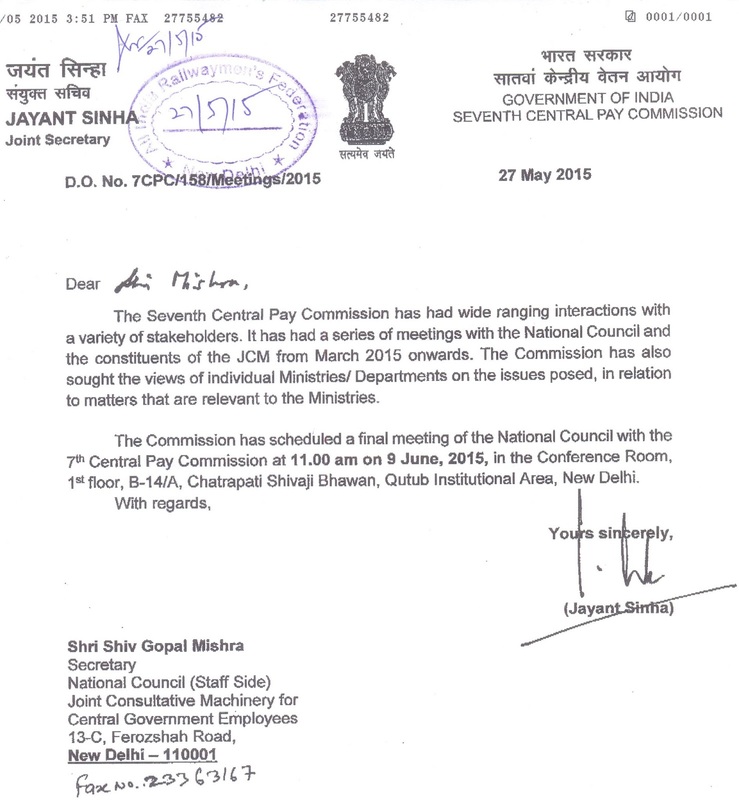 The Commission has scheduled a final meeting of the National Council with the 7th Central Pay Commission at 11.00 am on 9 June, 2015, in the Conference Room, 1st Floor, B-14/A. Chatrapati Shivaji Bhawan, Qutub Institutional Area, New Delhi.